I used to watch a lot of CA stuff as a kid. More recently I'd keep up with Doug Walker's content to make fun of the hacky shoddiness of it. Pregler began talking publicly about her experiences at Channel Awesome—a hub for film, gaming, and pop culture videos—in 2015. “Many producers had grievances with the site over the decade they’ve been going, but by now the site did not have the same leverage for people to stay,” she told the Daily Dot. That waning influence dovetailed with the exit of a prominent longtime contributor, Kaylyn Saucedo, in September 2017. Pregler says that once she started publicly speaking about her experiences, the momentum picked up. As film criticism and fan-steeped review sites have become more popular over the last few years, an underlying culture of misogyny and entitlement has also come to light. Last October, Screen Junkies creator Andy Signore was fired after allegations of harassment surfaced from both fans and employees. Austin’s Alamo Drafthouse, which runs the popular Fantastic Fest, faced criticism last fall for keeping known abusers on staff even after women voiced complaints about behavior. While accusations of harassment against Channel Awesome have come from men and women, many of the accounts paint a picture of a company with little regard for women’s creative input or opinions. One widely cited example in the Google doc and on Twitter is the three-hour 2012 anniversary film To Boldly Flee, written and helmed by Doug Walker and starring many CA contributors. Lindsay Ellis won a contest in 2008 to be Walker’s female counterpart, Nostalgia Chick, and cover “girly” content that he didn’t. She contributed to Channel Awesome from 2008-2014 and recalled one scene in To Boldly Flee where her character is apparently sexually assaulted. She and scene partner Lewis Lovhaug voiced their concerns. Walker apparently said he would tone down the scene, but Ellis still had to do voiceovers where it sounds like she’s being assaulted. Yeah. We complained about it as soon as we read it and our concerns were brushed off. Continually. Ellis says Gamergate brought contributors more harassment but adds that even before 2014, women on the site faced harassment from fans as well as other contributors and producers. Several contributors reportedly had to deal with threats and stalkers, and a few even went to the police. A contributor that Ellis vouched for, Dan Olson, was reportedly fired after making anti-Gamergate videos. After the GamerGate video went up on CA and the slavering hordes found it (despite my advisory that comments should simply be closed on the video outright from the get go) Mike called other producers to yell about me before calling me. Former COO Mike Ellis has also been accused of sexual harassment. He pursued a relationship with Holly Brown, who handled HR for Channel Awesome from 2010-2013, which was not reciprocated. Ellis was let go in summer 2010 for harassment and mismanagement, and Channel Awesome put Brown in a safe house for a few days in case he threatened her with physical violence. Brown said producers would often bring up complaints with her. On Monday night, Channel Awesome posted a statement to Twitter, hoping to “clear the air” regarding the flood of accusations. “For the people who have spoken out about past instances they deemed hurtful, or unprofessional, we sincerely regret you felt that way,” it reads. The statement also expresses a desire to move “forward” with its “wonderful team,” but doesn’t directly address any of the grievances, or cite who wrote it. Doug and his brother Rob still do videos for the site. Many fans and former contributors felt the apology rang hollow, and that it shifted the blame to the victims. A request for comment was not answered. 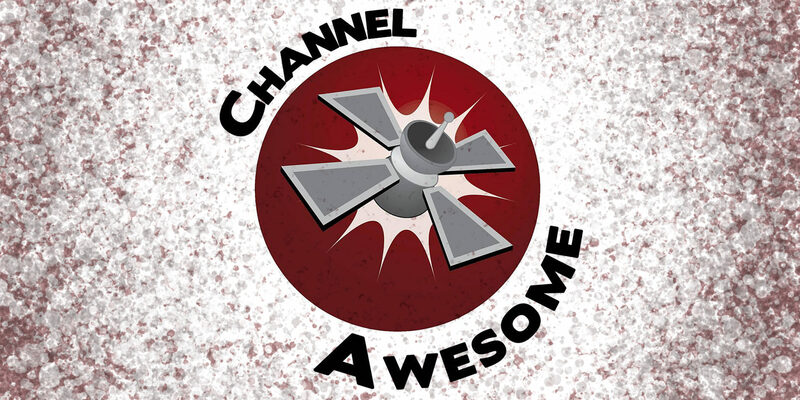 Update 3:20pm CT, April 12: Channel Awesome has issued a response, addressing the “most egregious” allegations.